I recently updated my downstairs bathroom by giving it a Quick and Easy Refresh. 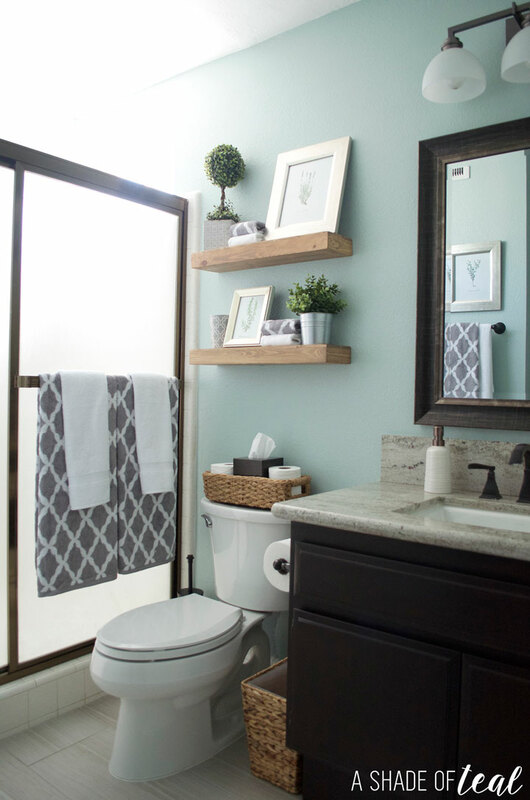 You can see all about that here; Quick & Easy Rustic Bathroom Refresh. 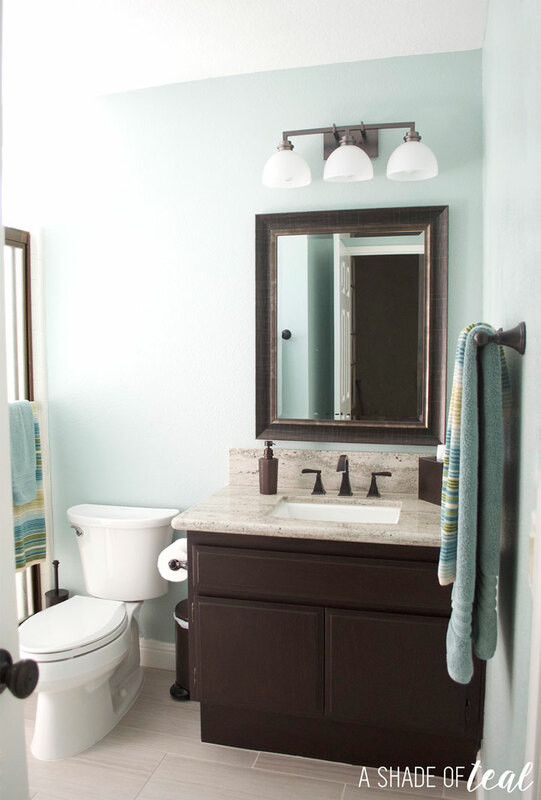 I wanted to share where all the items were found since I was able to makeover this bathroom for under $200. Here’s the before picture of my powder room/downstairs bath. I knew I wanted to make the room feel fresh with a little rustic flair. I used all light neutrals with white and grey towels, natural wood, and some greenery. Wood Shelves, Target. Similar option Here. Boxwood Topiary, Homegoods. Similar option Here. Silver Frame, Aaron Brothers. Similar option Here. Grey Candle, Homegoods. Similar option here. Toliet Basket, Target. Similar option here. Tissue Box, really old from Lowe’s. Similar option Here. White Soap Dispenser, Target, Find a similar option Here. Mirror, Lowe’s. Find a similar option Here. So there you have it. If I missed something let me know and I’ll find the source for you! 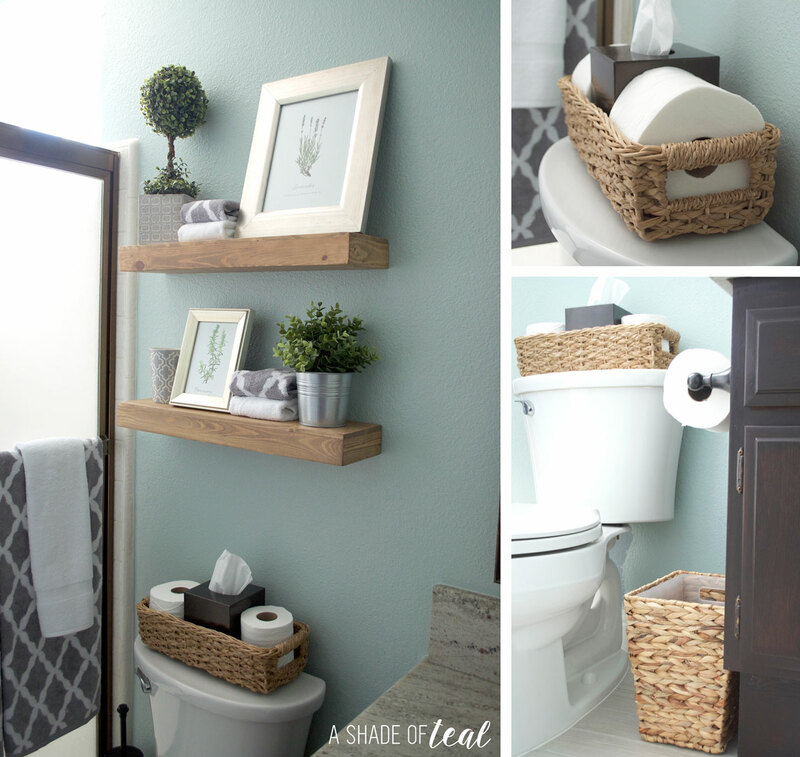 Make sure to check out the full bathroom refresh here; Quick & Easy Rustic Bathroom Refresh. Your bathroom is just beautiful!! Would you mind sharing what paint colour that is on the walls? I’m sorry but I don’t remember anymore. It was a Valspar color though. I just painted my bathroom in SW Breaktime and it’s really similar. Maybe just a little bluer.